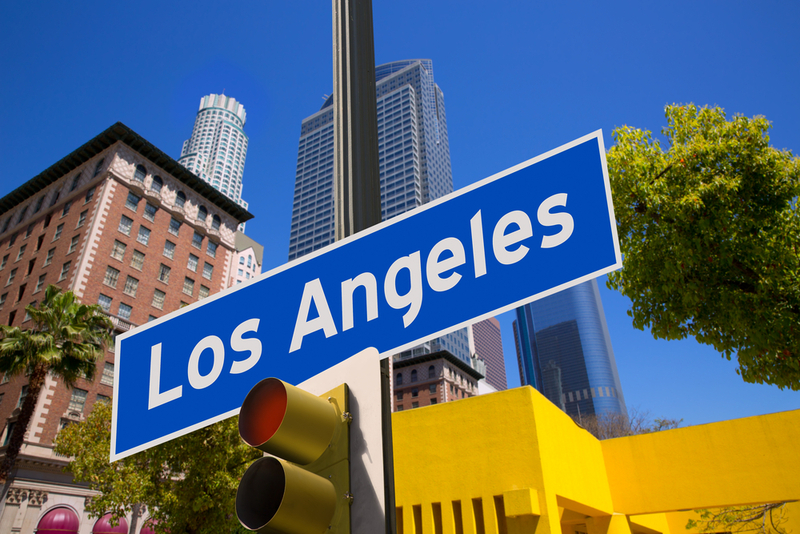 Los Angeles is often ranked as the worst American city for drivers. Drivers there spend an average of 90 hours a year in traffic delays, which can lead to expenses such as increased car insurance quotes. But which suburban drivers have the worst southern California traffic and commutes? A new NerdWallet study has found that Palmdale and West Covina are the two worst suburbs for commutes in the greater Los Angeles area. To determine the rankings, we analyzed the two major costs associated with commuting: time and money. Gas and insurance are two costs that vary depending on your commute. Insurance costs vary greatly among the suburbs in Los Angeles’ environs. There is a $516.05 difference between the L.A.-area suburb with the most expensive average car insurance premiums and the suburb with the least. Gas prices are relatively similar across L.A.’s suburbs—there is only a 4-cent per gallon difference between the most expensive and the least expensive suburb. However, because Los Angeles-area drivers spend so much time driving, even the smallest price discrepancies can add up to large financial costs. In addition to car-related costs, the commute itself can negatively impact workers’ health, happiness and pocketbooks. The time workers spend commuting could be spent working or enjoying friends and family. Driving also takes away from time workers could spend exercising. Researchers have found that people who have long commutes have higher blood pressure and larger waistlines. Long commutes also increase stress levels, anxiety and the likelihood of depression. How expensive is gas? (10%) We looked at average gas prices in each county. How expensive is insurance? (15%) Insurance is a large cost for commuters. 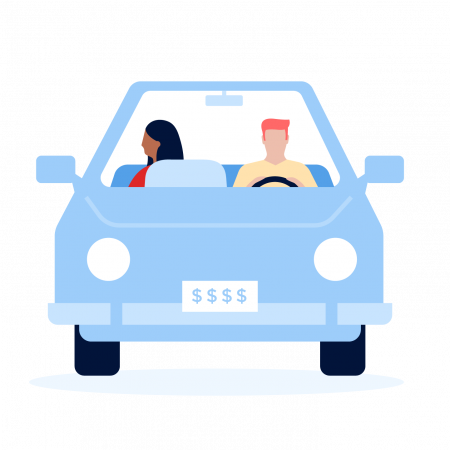 Annual insurance premiums differ greatly from place to place, so we wanted to accurately assess the financial burden it placed on commuters. How long are workers’ commutes? (55%) We looked at the length of the average worker’s one-way commute. Are there many commuters? (20%) We looked at the percentage of workers in each suburb who drive alone to work. A suburb with a large percentage of commuters driving alone will often face increased congestion, which can lead to even longer commutes. The average commute time for suburban workers in the greater Los Angeles area is 28.44 minutes each way. On average, 76.54% of workers drive alone to work. The average car insurance premium for drivers in the Los Angeles area is $1,088.44. Gas averages $3.96 a gallon. On average, workers in Palmdale face a commute that is almost twice as long as workers in Costa Mesa. It takes Palmdale drivers 40.4 minutes to drive to work each way, whereas it takes Costa Mesa drivers only 22 minutes each way. Palmdale ranked as the worst suburb for commuters on our list. The city’s residents face the longest average commute times of any Los Angeles suburb. According to the census, drivers typically spend 40.4 minutes commuting to work. That is about 12 minutes more than the average Los Angeles commuter, who travels 28.44 minutes each way to work. Drivers in Palmdale also face relatively high gas and insurance costs. The average annual insurance premium in Palmdale is $1,168.56, which is about $80 more than the Los Angeles-area average. Los Angeles County, where Palmdale is located, is also the most expensive county for gas in the area. West Covina workers face shorter average commute times than workers in Palmdale, 32.9 minutes. However, there are more workers who drive alone to work in West Covina than the state average. Of those workers, 79.1% drive alone, about 2 percentage points more than the state average. Costs are relatively low for West Covina drivers. The average West Covina driver pays $1,089.39 for insurance each year, which is on par with the state average. The average Chino Hills worker spends 36.4 minutes each way commuting, which is six minutes longer than the Los Angeles-area average. Like West Covina, 79.1% of its drivers also drive to work alone. Chino Hills, which lies in San Bernardino County, has some of the highest gas prices in the area, an average of $3.95 per gallon. Compared to the other Los Angeles suburbs that made the top 10, Montebello workers have relatively short commutes, 32.8 minutes each way. Even so, Montebello workers still have a commute that is about four minutes longer than the Los Angeles-area average. In fact, Montebello performed worse than the Los Angeles average in all areas measured. Montebello had a higher percentage of workers commuting alone, more expensive insurance and more expensive gas than the area average. Moreno Valley drivers face long commutes and must share the road with many workers who are driving alone. The average Moreno Valley worker spends 34.7 minutes each way driving to work. Besides long commutes, Moreno Valley drivers often face congestion—about 80% of workers there drive to work alone. Compared to the rest of the Los Angeles area, Lancaster workers have shorter commutes. However, the suburb has a much higher percentage of commuters who drive to work alone. Gas and insurance prices are slightly higher than other places in the Los Angeles metro area. Lancaster drivers can expect to pay $ 1,109.75 each year for car insurance and $3.98 a gallon for gas. Workers in Murrieta average 35.2 minutes each way for their commutes. The percentage of workers who drive alone to work — 78.8% — is on par with the area’s average. Murrieta drivers face cheaper gas prices than the rest of the L.A. metro area. The suburb is in Riverside County, where drivers pay an average of $3.94 a gallon for gas. Hesperia drivers face some of the longest commutes. It takes the average driver 37.8 minutes to commute to work, which is about 10 minutes longer than the Los Angeles-area average. In terms of car-related costs, Hesperia residents also pay more for car insurance than other suburbs. They pay $1,126.46, which is about $40 more than the area average. The average Santa Clarita worker spends 32.2 minutes each day commuting to work, which is about four minutes longer than the average commute in Los Angeles. They also face high gas prices. The average price for a gallon of gas in Santa Clarita is $3.98. When it comes to car insurance, Santa Clarita drivers pay less than other L.A. suburbs, an average of $1,038.71 each year. Corona is one of three Riverside County suburbs to make the list. Its drivers face commutes that are about six minutes longer than the Los Angeles-area average; their average commute time is 34.5 minutes each way. The percentage of workers who drive alone to work is similar to the L.A. average: 77.1%. Percentage of workers commuting alone by car from the 2012 U.S. Census Bureau American Community Survey. Average gas price by county from Gas Buddy. Average car insurance rates based on for a 2012 Toyota Camry from NerdWallet’s Car insurance Comparison Tool. Los Angeles photo via Shutterstock.